Concrete has been around for thousands of years now, and human beings have used it to build all kinds of structures. But it wasn’t until around the 1950s that a new style of architecture called “brutalism” was born. Brutalist architecture involves using raw concrete to create structures, and it has been incorporated into all kinds of architectural designs. There are many characteristics that set brutalist buildings apart from other buildings that use different architectural styles. For starters, brutalist structures are typically formed by grouping together different concrete masses, each representing a different zone. 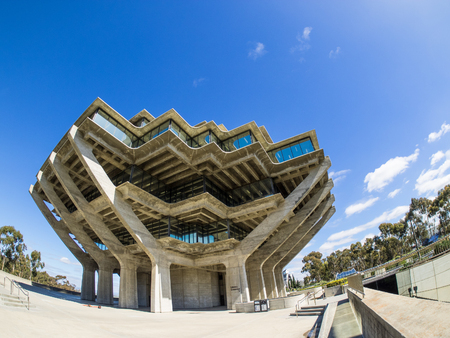 You will usually see a lot of sharp edges and angles when you look at a brutalist building. You will obviously also see the rawest form of concrete possible. Brutalist buildings are purposely built using concrete that has not been refinished or altered in any way. It has a very cold, industrial feel to it, but there’s also a certain beauty located within its simplicity. There are some brutalist buildings that also work bricks, steel, stone, and more into the mix, but the concrete is intended to be the dominant presence. While brutalism started to die off in the early 1980s and was a complete afterthought in the 1990s in architectural circles, it has made a resurgence in recent years, albeit in a slightly different form. While the rawness of concrete was on full display in older brutalist buildings, many newer brutalist structures are softened through sandblasting and other methods to make them appear more modern. They are sometimes covered in stucco or patterned to look more aesthetically pleasing to the people of today. But the brutalist ideals are still present in them, and they represent a style of architecture that was once popular in the U.S. and other parts of the world. Templin Concrete Construction knows a thing or two about using concrete effectively to create beautiful structures for homeowners. In particular, we specialize in making decorative countertops that require little maintenance and will last for years. Call us at 612-388-1945 today to find out about installing one of our countertops in your home.